Are there different types of hen housing? 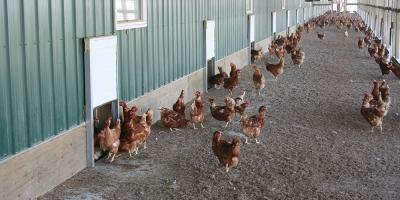 In Canada, egg farmers use a variety of different systems to house their hens. Each system provides a clean environment, access to fresh food and water, and protection from natural predators. Most hens are housed in temperature controlled barns because the Canadian climate is so variable. This allows farmers to keep a consistent temperature in the barn, and protects the hens from inclement weather like rain, snow, heat and humidity. In conventional systems, hens are housed in small group settings with plenty of access to food and water. 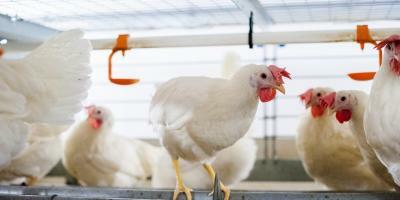 Enriched systems are equipped with perches and a curtained off area where the hens lay their eggs. In free run systems, hens roam the entire barn floor. Some of these barns are also equipped with multi-tiered aviaries. Similar to free run systems, in free range systems hens also roam the barn floor, and when weather permits they go outside. Learn more.